If you are looking for a way to add some color to your winter landscape, try adding some cool season annuals to your garden and flower beds. There are many varieties of flowers that will grow well in Texas during its mild winters. You can find winter flowers in a variety of shapes, sizes and colors. They can be planted from seeds or transplants and many can be used as cut flowers in bouquets and flower arrangements. 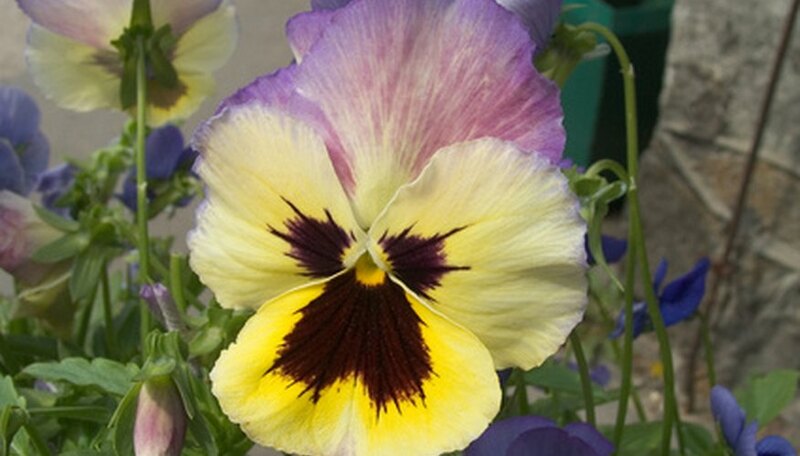 Pansies are one of the most popular winter flowers in Texas. Their bright blooms in shades of purple, white, yellow and maroon fill many garden beds and containers. Pansies grow well in sun to partial shade in rich, well-drained soil. Deadhead the spent flowers from these cold hardy annuals and you’ll have new blooms all winter long. You can also find smaller versions of pansies called violas and Johnny-jump-ups. Snapdragons are another good choice for winter color. These spikes of flowers come in all colors except blue and range in height from 6 to 24 inches. They grow best in full sun and can be started from seeds or transplants. Snapdragons can be grown in flower beds or large pots and will attract hummingbirds and butterflies to the garden. Sweet peas are a garden favorite due to their bright colors and sweet fragrance. Sweet peas are available in two types--climbing vine or bush varieties. If you choose to plant the vine-type sweet peas, they will need trellises or some other support to grow on, but make excellent cut flowers. Plant the bush-type in your flower beds or containers for mounds of color. Grow sweet peas from seed in a moist, well-drained soil in full sun. Sweet Alyssum is a cool-season annual that provides low-growing mounds of small, white flowers that will attract butterflies to the garden. Plant it as a border in.your flower beds, as a ground cover or in containers. This low-maintenance choice does best in sun or partial shade and will re-seed, providing new flowers each year. Dianthus are carnation-like flowers in the same family as Sweet Williams and garden pinks. Plant them from seeds or small transplants for garden color in shades of red, pink and white nearly all year long. They will thrive in sun to partial shade in a well-drained, alkaline soil.